Isn’t this supposed to be a time of enjoyment and relaxation? The skies are supposed to be clear and blue and the wind was supposed to smell of summer blossoms and fresh grass. But there came the summer that was totally different from the past summers that you and your family had. Your parents were out of the country then so their lake cabin was free. You and your family grabbed the opportunity to spend the entire summer in the cabin. It was an area that was conveniently close to a town where you could get the supplies that you needed. Your kids were ecstatic at the idea of spending summer in the lake cabin. Your wife was pretty excited at the idea that you would be spending a lot of time with the family. It was a great idea for you to have your work leave for three weeks. When you arrived at the lake cabin, you made sure that everyone was rested and full first. As always, you and your wife came up with a delicious family barbeque. 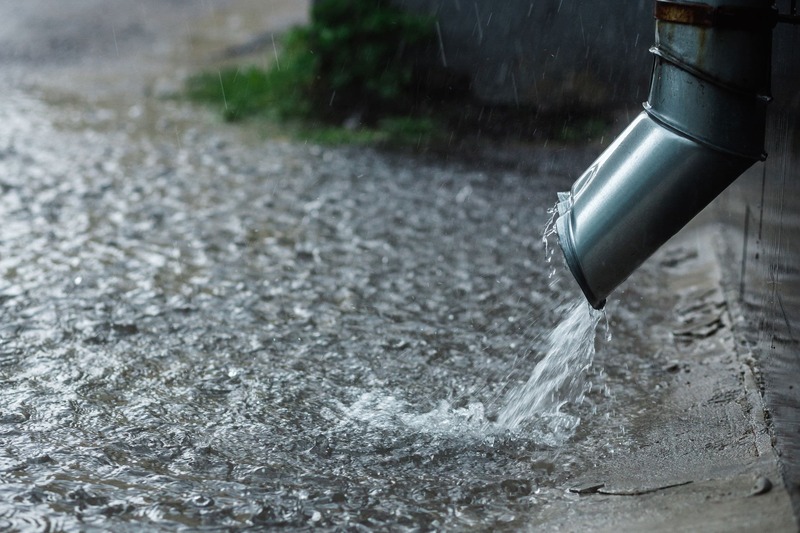 At the last minute, your wife said to you that rainwater can cause overflowing in septic systems and she wanted you to inspect your system just to be sure. After that, the kids dozed off while watching a movie marathon. After a few hours, the sky went dark. It was a puzzling thing for you because this didn’t normally happen in that area. The rain clouds didn’t seem to have any plans of going away. It grew even darker and colder in the afternoon. It was a good thing that the cabin was complete with durable windbreakers and covers in case it rained. You and your wife installed everything while the kids were asleep. The wind became stronger so you decided to close up the windows and doors. The kitchen was stocked up and emergency supplies were in the cabin. Then, as expected, heavy rains came. It lasted the entire night and the next day, you saw that the yard was flooded. Your wife also told you that the toilets, sinks, and drains were flooded. You immediately called the septic expert in the area to help you address the problem. When he arrived, he told you that the yard had to be changed to prevent septic system overflow again. He also stated that the rainwater can cause overflowing in septic systems. 1. The vehicle and the shed should be moved away from the drain field area. This could have destroyed the lateral lines already and caused the overflow. 2. The runoff from the roof of the cabin should be diverted away from the drain field so that water won’t be added into the septic system again. 3. You must also make sure that you adhere to the treatment and pump out schedule to prevent the heavy accumulation of the solid wastes and the clogging of the entire system. When the clogging is prevented, the overflow could be stopped as well. 4. You should also change your household cleaning products and detergents. The bacteria-friendly products should be in your household to keep the bacterial population alive and working efficiently. 5. The proper use of drains, toilets, and sinks should be done so that the septic system could be free of grease and non-biodegradable materials. It was a very weird thing for the weather to suddenly have changed like that. The news has always told people that global warming was making all the weather changes happen. It was pretty much a very sad for you to spend a wet summer in the cabin. In a way, this would be a drastic change for the kids but you knew that it could be a means to find out ways in making use of what the cabin had to offer. Your parents called and asked how everything was. They just knew about what happened and they wanted you to leave immediately. But you told them that you and your family were okay. The septic expert already helped you modify the yard. When the rains came again, there wasn’t any overflow anymore. It was a blessing that the heavy rains came or else, you wouldn’t have had the chance to improve the yard and the septic system. Your wife told you to remember that rainwater can cause overflowing in septic systems.